Jack in hunt for North West title. Jack Fay, who has only been an amateur boxing for leess than 9 months has reached the North West ABA senior novice heavyweight final. 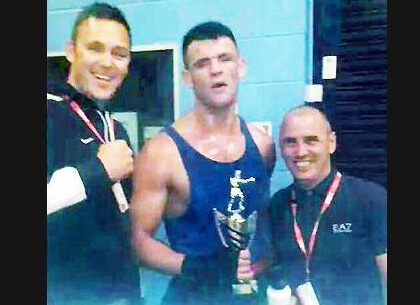 The 18-year-old from Blackburn beat Sam Jenkins of Littleborough ABC unanimously in the semi-finals at Walkden 6th form centre, Walkden, Manchester. He will now box David Charters from Wigton ABC on Saturday at the same venue for the right to be crowned North West region heavyweight champion. Charters also won his semi-final unanimously – knocking down his opponent four times. Fay is member of Technique ABC based on the middle floor, Chadwick Street Mill (just off Bolton road), Blackburn. Boxing is Monday, Tuesday, Wednesday and Thursday 6-7 pm and it has a junior class every Thursday 5 til 6 PM for juniors from 8 to 15 years old.